HENDERSONVILLE, Tennessee – The Trinity Broadcasting Network (TBN) is the world’s largest religious network and America’s most-watched faith channel, reaching 104 million households worldwide. Recently, the Trinity Broadcasting Network revamped its Nashville production facility from standard-broadcast analog to high-definition digital, and selected a Studer Vista 8 console as a key component of its upgrade. 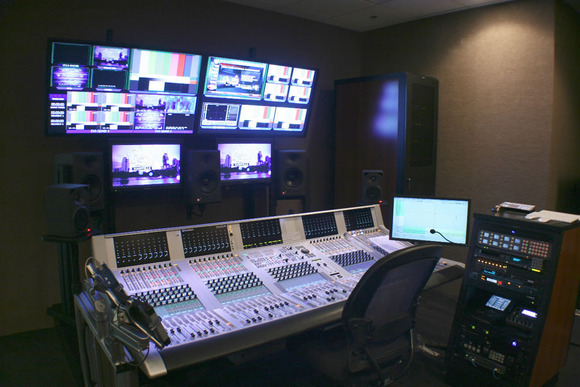 In addition to the Vista 8, TBN has outfitted seven control and edit rooms in its Nashville facility with JBL LSR4300 Series studio monitors. The Studer Vista 8 is an ultimate-performance digital mixing console with the exclusive Vistonics™ User Interface which provides a clear, easily understandable display of all operating parameters along with fast, easy operation. The Vista 8 offers additional advanced features such as 7.1-channel surround-sound mixing capability, dynamic automation, a sophisticated snapshot system, dedicated mute groups and more. The Vista 8 also enables seamless integration with other Studer products via Studer RELINK network technology.